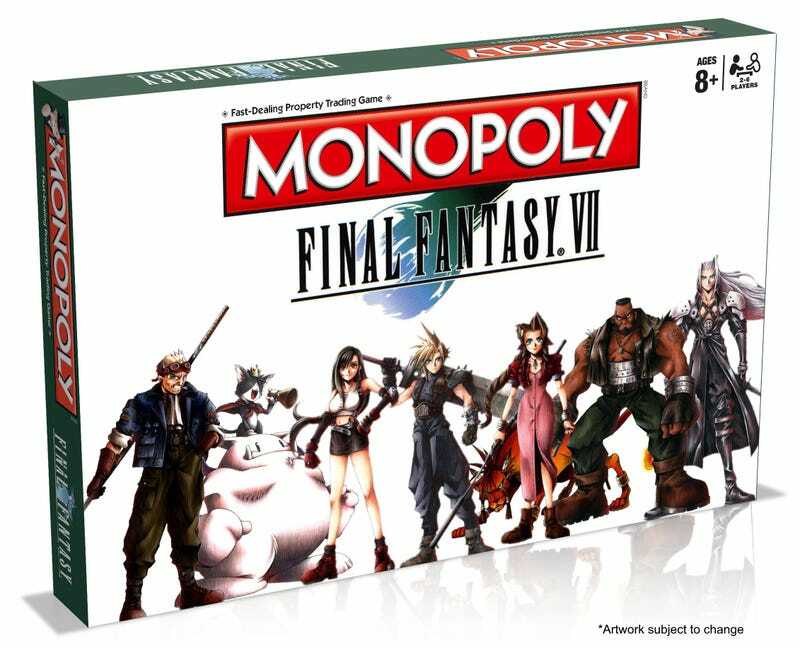 You probably won’t want to play as Aeris in Final Fantasy VII Monopoly, announced today for release in April 2017. Merchoid’s selling FFVII Monopoly for $50. Hopefully there are slap fights. UPDATE - 7/1, 1:27pm: A representative for Merchoid has reached out to let us know that the above image isn’t final artwork and hasn’t yet been officially approved by Square Enix. As a result, Merchoid has removed their product listing.